The First All Intel Inside Laptop The GIGABYTE AERO 15 laptop includes high-end Intel processors, combined with NVIDIA's latest RTX graphics cards with Max-Q design. GIGABYTE will give you the tools you need for unbelievable, smooth and fast gaming. 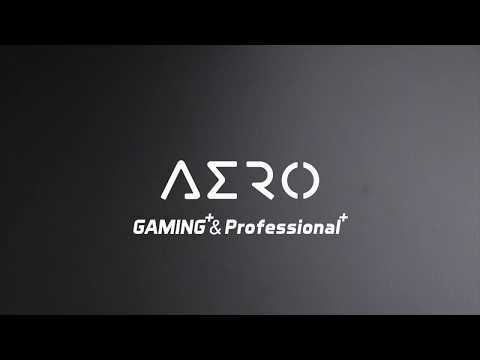 The AERO 15 features a 4K Ultra HD IPS panel that gives you stunning visuals for games and films alike and with the 5mm bezel display you will be engrossed in your media like never before. In collaboration with Intel, GIGABYTE have introduced the first All Intel Inside Laptop. The Intel SSD 760p, Killer DoubleShot Wi-Fi and lightning fast Thunderbolt™ 3 work together and up performance while gaming and working. Included in the AERO 15 is Samsung DDR4 memory which has a high speed of 2666MHz to ensure you enjoy a super-fast system. The AERO 15 is cooled efficiently by two uniquely designed fans and an adaptive cooling system to maintain peak performance. 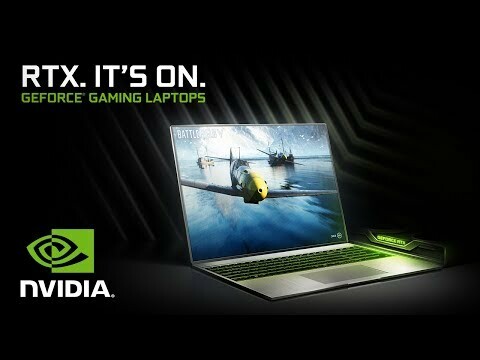 New Turing Architecture with Real-Time Ray Tracing Powered by the top of the range NVIDIA GPU’s, the AERO 15 is built with a NVIDIA GeForce RTX 2070 which brings the high end Turing GPU architecture to laptops. 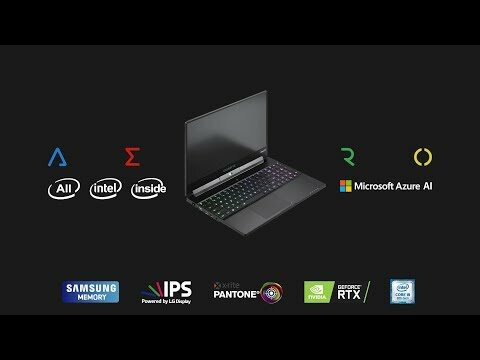 The RTX series brings a plethora of new graphics rendering techniques including real-time ray tracing which simulates the real world physical behaviour of light to bring cinematic, realistic and real time renders to life, giving visually intensive games the look of nothing ever done before. New technologies such as artificial intelligence and programmable shading are also available, the RTX Series uses the power of deep learning and AI to educate the GPU into creating more crisp and vibrant images and while all this is going on the RTX Series Cards can run up to 2x faster than the previous generation GPU's that use conventional anti-aliasing techniques. Power Intensive games and create content on the go Part of the All Intel Inside group the i9-8950HK is a Six Core mobile powerhouse, with a max turbo frequency of 4.8 GHz. Achieve non-stop creativity through the use of this smooth and powerful processor which will enable you to express your yourself in every possible probability. 4K UHD Display : Take in the True Details that the World Has to Offer The 4K UHD IPS display does not only offer the best resolution density in its class, it also comes at 100% Adobe RGB colour gamut that brings a wider and more accurate colours than that of a tradition sRGB gamut. Take advantage of the efficiency and vibrant images for every occasion. Seamless Compatibility for Higher Performance By collaborating with Intel, GIGABYTE have produced a powerful combination of high performance Intel components dubbed the All Intel Inside technology. You can witness a brand new multitasking six core Intel CPU, complimented with a super-fast Intel 760p SSD, an Intel-based Killer DoubleShot Pro Wi-Fi and a lightning fast Thunderbolt™ 3 for quick connectivity. All these high-performance parts work together seamlessly, so that you can concentrate on more important tasks at hand. 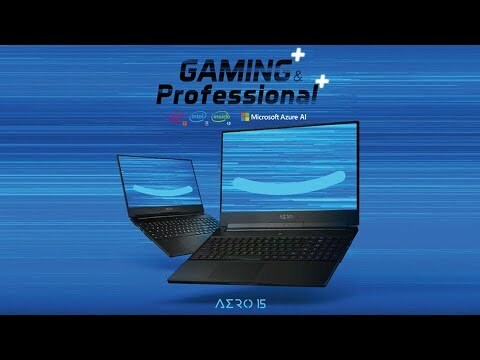 Uses Artificial Intelligence to regulate your settings GIGABYTE have adapted the perspective and experiences of their users, and have cooperated with Microsoft Azure to bring you the world’s first “Edge AI” and “Cloud AI” laptop - the AERO 15. Users will experience the perfect CPU, GPU, fan, keyboard and sound setting options tuned by the AI even without having to connect to the internet. The AERO 15 achieves the highest efficiency for a cool and quiet laptop environment. Lightning Fast 32GB RAM AT 2666Mhz The GIGABYTE AERO 15 has been equipped with a high grade Samsung DDR4 memory, which provides high speed transfer and overall memory quality whilst decreasing battery consumption. As an added bonus the AERO 15 has surpassed limitations as it supports up to 2 DDR4 memory slots. abolish long loading times GIGABYTE have included an Intel 760p SSD with a whopping 3200MB/s read speed allowing you to work without any long waiting times. But why stop at one? The AERO 15 can accommodate two of these ultra-fast SSD’s to increase your total storage space if it need be. Adaptive Fit for a Light and Thin Laptop Powerful performance comes from effective cooling technology, the AERO 15 comes with two uniquely designed fans and cooling system built in, adapting both CPU and GPU, effectively dissipating the heat. This results in keeping parts working longer and at constant peak performance. 16.77 million Colours with rgb fusion The AERO 15 keyboard is fully per-key RGB backlit, with 16.77 million colours plus full anti-ghosting. The customizable per-key macro feature records your input commands on the keyboard and mouse to achieve an array of unique functions. With both RGB lighting and macro keys, this keyboard is a multi-functional tool that benefits you, even in the dark.The AERO has been upgraded to fully support windows precision touchpad. The AERO can register multiple touch inputs for a variety of different functions and precision. Get Pinpoint, accurate audio for your games NAHIMIC 3D Sound gives you an advantage which is clear, has pin point accuracy and provides gamers the ability to hear the surrounding with true accuracy and definition without distortion. Feel the gaming environment through the headphone or experience clear audio in a conference call. Solidly Built for daily use The GIGABYTE AERO 15 uses a whole block of aluminium to produce a refined laptop lid which is striking to the eye, solid to the touch and ultra-durable for daily use. The chassis is further made from compressed aluminium construction to create a strong yet light body. All this measures and weighs in at just 1.8cm/2.0KG. With a 94Wh battery the GIGABYTE AERO 15 can last up to 8 hours on a full charge. Never Drop Connection during intense battles Killer DoubleShot™ Pro automatically picks the fastest network connection and sends all high priority traffic such as games and streaming over that interface. All standard traffic is then sent over the other interface ensuring the highest priority traffic will always be put on the fastest and most reliable link, giving you lag free gaming even while running multiple downloads the same time. Thunderbolt™ 3The Intel® Thunderbolt™ 3 achieves a transfer speed of up to 40Gbps, in addition to reversible USB-C transfer port interface. Transfer your creative works without obstacles. HDMI 2.0The AERO 15 is equipped with HDMI 2.0 port that supports image output of up to [email protected] In addition, with Thunderbolt™ 3, you can create a unique multi-display system with the AERO 15 laptop. UHS-II Card ReaderThe AERO 15 comes with a UHS-II SD card reader that offers a transfer rate of up to 300MB/s, which is 12 times faster than a traditional SD card reader. Don’t waste time for files to be transferred ever again.